After all the hard work it takes to create a product or sell your service, the last thing most of us want to do is have more administrative hassles. But, for several reasons, you need to pay attention to keeping your personal and business bank accounts separate to avoid the commingling of funds. When you finally make that sale and collect that check (if you’ve ever been in business, you know the difference between making a sale and collecting the money), you want to spend it. I understand, but let’s look at what commingling of funds means and the potential impacts to your LLC. What is commingling of funds? If you commingle funds, you could lose the liability protection due to what is known as “piercing the corporate veil”. Having your “veil pierced” sounds like a bad thing. All that work you did to form an LLC or corporation–filling out Articles of Organization, paying filing fees to the state, drafting an Operating Agreement–will be for nothing as far as protecting your assets from creditors if your corporate veil is pierced. There are several factors that courts look at when deciding whether to pierce your company’s veil and hold you personally liable for company debts and lawsuits. One important factor is the presence of commingled funds. If you treat your business’s money the same as your own, then you risk the exposure of your personal assets. This means that you didn’t keep up the necessary formalities so your LLC or corporation wasn’t a separate legal entity. Mixing business and personal funds are sloppy. It’s bad legally for the reasons above, in addition to simply being bad business. It also makes accounting difficult and inaccurate. Accounting is more than just doing your taxes. Accounting tells you how your business is performing, what is doing well and what needs improvement. Sloppy record keeping and accounting mean you can’t figure out which parts of your business are winners and which are losers. You won’t know which products have the highest gross margin, or which ads bring the highest return on investment. You’ll simply be flying blind. That’s why you need a separate business checking account and a decent piece of small business accounting software. There are a lot of good options like Quickbooks, Xero, Wave and others that will be more than adequate for small online businesses to larger and more complex businesses. I personally used Quickbooks for a company with 12+ employees and over $100,000/month in sales, which included selling both services and products. Being diligent in separating and tracking business income and expenses and keeping the books and records clean will be a huge benefit when it comes time to preparing the business tax return. You can’t deduct what you can’t document. Keeping track of business income and expenses is crucial to minimizing taxes and maximizing deductions. Most small business owners pay more than the law requires because they don’t have a system for keeping track of expenses. A separate bank account to run all your business transactions through is a “poor man’s” way of tracking all your expenses. You can simply use your bank statement as a list of all your business expenses. 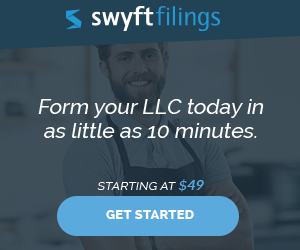 How do I Correct commingling of Funds in an LLC? 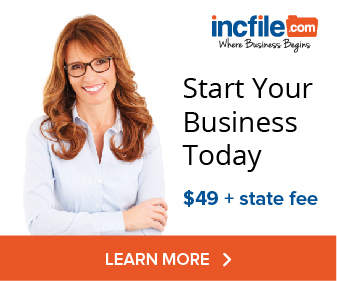 Maybe you have already started your LLC and made the mistake of commingling funds. Recognizing the mistake early makes it easier to fix. To get started you will need to identify the transactions that were personal. Some common expenses that are a high priority with the IRS include travel, meals, entertainment, vehicle expenses and home office expenses. Those expenses that should be personal can be reclassified. They could be changed to be a fringe benefit compensation or a loan to the shareholder. The loan to a shareholder is a bit trickier and may not be the best to do without help from a CPA. In summary, commingling funds are going to cause more of a legal problem than a tax problem. The primary reason for forming the LLC in the first place is to reduce the owner’s liability risks. The level of importance of fixing commingled funds for an LLC will vary depending on how the LLC is taxed. An LLC taxed as a sole proprietorship or partnership is far less critical than an LLC that is taxed as a corporation. The primary risk an LLC faces when commingling funds when taxed as a corporation is the potential of losing the tax benefits like avoiding self-employment taxes on distributions.